Earlier today, Blizzard posted a Story Update containing a letter from Torbjörn to his wife, Ingrid, cryptically teasing at Overwatch's new hero. Torbjörn's letter states that after being injured in battle and saved by Reinhardt, he has been considering making Reinhardt his unborn daughter’s godfather, as well as letting him pick her name. 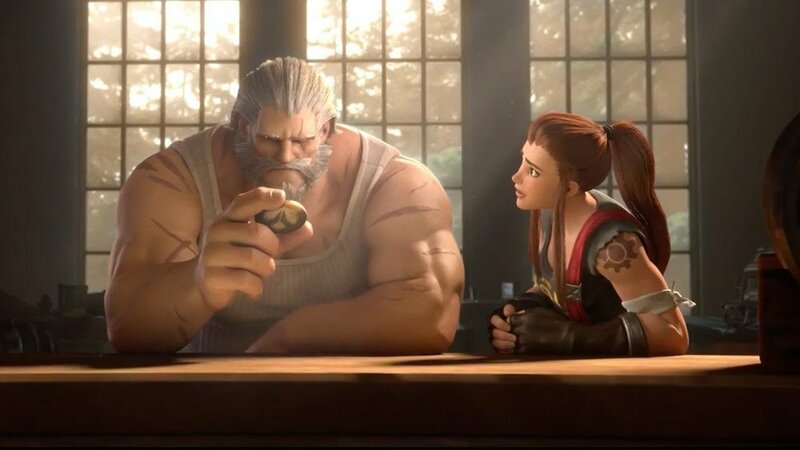 First seen in the Honor and Glory short published in November 2017, Brigitte Lindholm is the confirmed daughter of Torbjörn and Ingrid Lindholm. Torbjörn then continues by saying, “We can only hope she doesn't take after him too much.” This led many to think that if the new hero is Brigitte, there’s a good chance she’ll be a tank like Reinhardt. However, Brigitte has been shown fixing Reinhardt’s armor in the previously cancelled graphic novel Overwatch: First Strike. She also has a gear tattoo like her father, hinting that she, too, could be an engineer. Regardless of her role, Jeff Kaplan said in an interview with Overwatch Central that Hero 27 would be "meta-changing." Blizzard also tweeted a teaser earlier in the week as well: a mission report from Ana Amari.